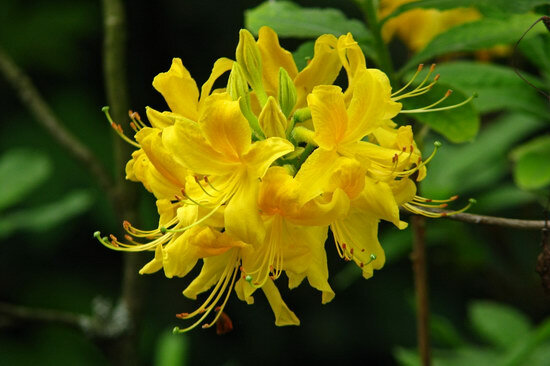 One more of the yellow mystery flowers. 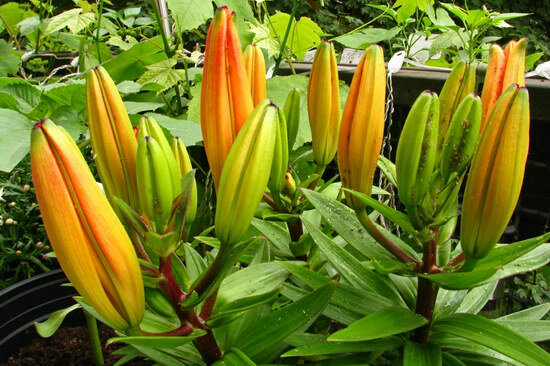 The Lilies from last year came back too after sleeping over the winter in a flowerbox. Six humans hurtling through space and leaving a trail of light on my camera sensor – with many greetings to Alexander Gerst, who is one of the five Astronauts on the International Space Station. 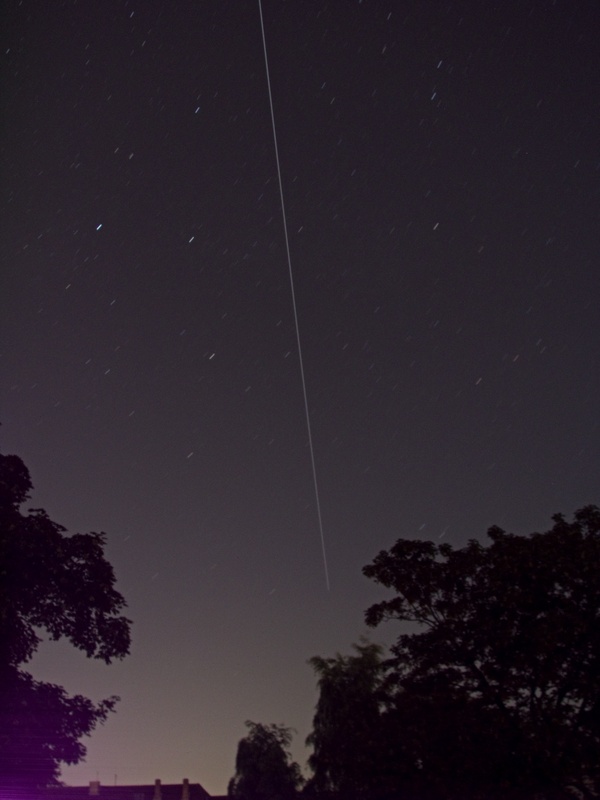 This second attempt of capturing the ISS tonight at about 00:14am CEST from Mülheim, Germany was more successful than the first, which was much too bright too see anything – we still saw the station on both occasions and will at least once, if not twice more this night! This image is almost unaltered from the original and it would have been even more perfect if the exposure time was long enough for the station to vanish ehind the trees, but this is still a good one. The Camera was, as usual, my trusty Canon Powershot S5 running CHDK for the 128-second long exposure.